etc etc. The term became synonymous for “fun”, and there are few things more dreary than a lesson designed around what an adult thinks a teenager will find fun. The problem with many of these “engaging” activities is that the activity dominated the learning. I remember creating lessons where pupils would build shanty towns from cardboard boxes which would then be destroyed by uncaring governments (played beautifully by myself). The next lesson they would all remember how to build a shanty town from a cornflake box but very little about the problems faced by people living in these communities. So I can understand the concern that some people have about the term and the reaction and rolling of the eyes when it is mentioned. The problem is, engagement matters. It just means something different to the examples given above. For pupils to learn what we want them to learn they need to think about the things we want them to think about. Memory is the residue of thought and learning is a change in long term memory (to combine Willingham and Kirschener into one delicious whole). If pupils are thinking about the things we want them to think about then I would argue they are “engaged”. And this therefore matters. It matters because we do need to think about how to engage them. It is just that how we engage them is less about designing fun and wacky activities and is more about how we create the conditions that are ideal for them to think about what we want them to think about. This engagement means really well planned explanations that are delivered well and rich in analogies and examples. Engagement means avoiding distractions, whether from poor behaviour, visual clutter or people knocking on the door to deliver messages. Engagement means designing well planned activities that challenge them to think about the topic in a new way and apply what they have learnt in different contexts. Engagement is about creating the conditions in which learning takes place. It also means finding ways to encourage them to think about the subject outside of the classroom. To tap into that natural curiosity about the world around them. 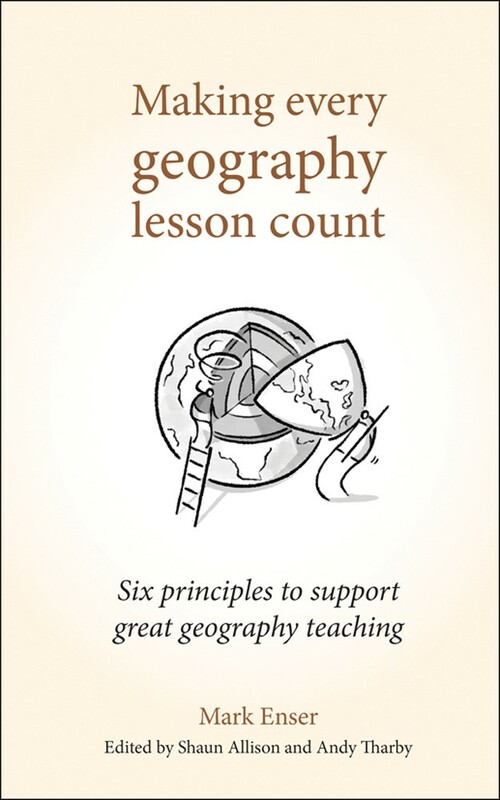 Luckily, geography is a naturally engaging subject. We can encourage them to engage in this way by getting them to read around the topic, discuss it, watch documentaries about it, visit museums. Engage with the subject. The more time they spend thinking about it, recalling what they learnt previously, the more they will learn. Engagement is is a bit of a vague term that can be used in all sorts of ways. So lets use it to mean something important. Lets engage with the term and reclaim it as a powerful part of learning. As you say, ‘engagement’ is a bit of a vague term, and that’s precisely why it’s so useless. You do an admirable job here of trying to limit the term to something like “paying attention”, but the problem is that the word can quite legitimately be used to mean “having fun” and a wide variety of other things. It’s this ambiguity which actually makes it so unhelpful when we’re trying to distinguish between “paying attention” and “having fun”. I’m also not completely convinced that “engaged” can quite be used in the way you want it to be used. Take, for example, someone being beaten up, or watching a family member die in front of them. In both cases your definition would lead us to say “he is quite engaged in the beating” or “she is engaged by her grandmother’s death”. The reason these don’t work is that the term often does not just mean “paying attention”, but conveys a sense of positive experience out of the practice of paying attention. So all of this is why I think it doesn’t work to try to replace a the rather clunky “think about what we want them to think about” with “engage”. It is not quite as simple, but I think “paying attention” conveys your sense here admirably, and without any of the baggage that the word ‘engage’ brings with it. A thought provoking treatise on engagement!. Is this a reaction to my suggested ‘moving around the classroom’ activity on Friday, or to other references about engagement made on that day?? Can I counter argue that sometimes, in order to get students thinking about a topic after the lesson, a ‘fun’ activity is a good memory jogger? It might also encourage enthusiasm – I find this always helps too…. I am not convinced by that counter argument for a couple of reasons. Firstly, teachers are terrible at planning “fun” activities. I have seen endless “fun” activities over the years which, unsurprisingly, teenagers see right through. We would hate to have to do many of these kinds of things if they were presented to us on a training day. More importantly though, I don’t think “fun” activities do act as a useful memory jogger. They might remember doing the activity but there is no reason to think they will remember what they were supposed to have learnt from it. I agree with you about enthusiasm though. It is why there needs to be an excellent curriculum that intrigues them and leaves them wanting to know more. The subject should speak for itself here! OK, let me change the word fun for a ‘variety of interesting activities’. If the same format is used every lesson it starts to get pretty boring and the lessons merge into one another. An example might be where I have successfully used ‘experts’ to share information with and explain things to other members of the class. Doing a ‘mind movie’ as a starter to launch a topic. I agree that ‘fun’ shouldn’t detract from the learning but aid it!